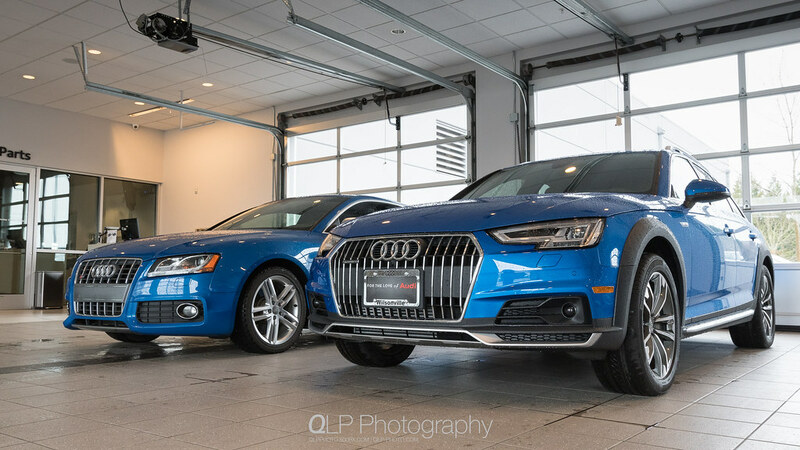 Today marks one year on the dot that I let go of my Sprint Blue S5 and picked up an Audi exclusive Ara Blue A4 allroad. Over the past year, I’ve racked up just over 6,000 miles, with a good number of trips up to Tacoma and Seattle and back; along with many trips from one side of the Portland metro area to the other side for (non-automotive) events and shows. Of course, I work from home, so it hasn’t seen the abuse of a daily commute and that has also kept the miles down a bit more. I’ve taken the allroad on 5-6 trips through dirt and gravel mountain roads and both the quattro with ultra AWD system not flinching in off-road mode and the Gyeon Quartz coating all over the car making cleaning it so much easier. When in Auto or Individual mode and on long stretches of interstates highways, I can get 30 MPG with two people and loading up the cargo with photography equipment, day bags and what-not. Unlike in the S5 and its stock suspension and decently bolstered seats, long trips do not feel tiring or clunky when going over certain stretches of I-5 in and around the Tacoma/Seattle area. The two creature comfort things that I’ve poo-pooed in the past were ventilated seats and heated steering wheels. Now… I’m so fricking spoiled by both. As with any vehicle loaded with electrical doodads and gizmos, there have been a couple of glitches related to the park assist camera system. Every so often, the MMI system wouldn’t display images from the cameras and it would require a three-finger salute to come back. It’s something that I’ve brought up a couple of times to the service manager. It’s not an uncommon thing with the B9 MMI system and they’ve heard the same from Q5 owners. I think a fix is being worked on and it will be applied whenever it’s ready. Yeah… I do miss S5’s classic lines, the two-tone seats and rowing my own gears while driving through the hills and the various roads out to the coast; but, what I don’t miss is driving stick in Portland’s horrific traffic that has gotten really worse in the past 2-3 years. Another things that I haven’t missed is getting stares from people driving by or compliments on the color of either the S5 or the allroad. People continue to ask me if I want to paint the allroad’s cladding and my answer has been and still is, heck no! 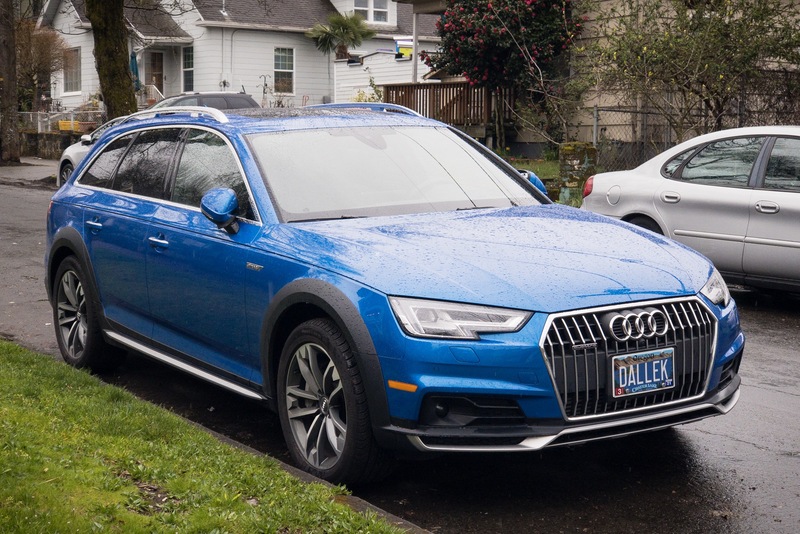 It works so well on Ara Blue and it’s a freaking allroad (well, smallroad according to the A6 allroad elitists). Looking forward to coming years with the allroad.